Bank of America is the worst for customer service. Had a card with them for 19 year and never improved. Manager that cancelled the card for me was rude and obnoxious. I agree that their customer service is poor, but this card only came out within the past 2 years. You’re not reviewing this card, but the company. I was thinking of applying, but I hate poor customer service with a passion. Thanks for your review. Bank of America customer service is very poor!! 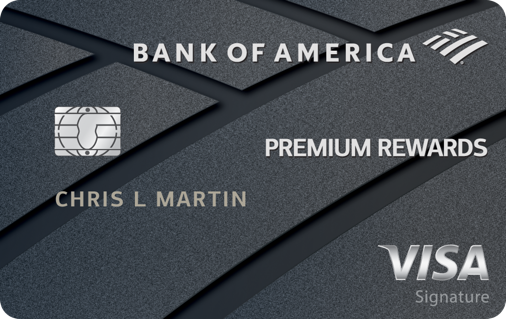 If you would like a horrible credit card with even worse customer service then this card is for you. This company has the worst customer service that I've ever dealt with and I was a card holder for over 16 years. I paid my card off and they indicated they didn't have my social security number after a 16 year card holding time frame. I filled out their form as requested and returned it in their envelope.. They cancelled my card as they said I did not return the form but get this, they did NOT send a letter to inform me that my card was cancelled..After three calls I finally got a lady who said they left me a voicemail to inform me they cancelled my card after 16 years. No voicemail...What a pathetic joke of a company. If you are unfortunate enough to select this card may God have mercy on your soul. This card only came out within the past 2 years. You’re not reviewing this card at all. Take the hint. Obviously BOA is not good to deal with. Best benefits on everyday purchases! Annual fee is recovered for 5 years if you purchase $3000 in first 90 days.